The bowl starts by been cut from a plank of oak and then roughed out by Robert on the lathe and let dry until it is at the desired moisture level. 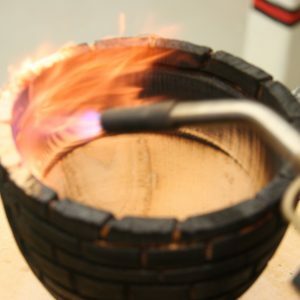 The bowl is remounted on the lathe and the different style is cut into the bowl, it is then burned to give the blackened effect, sprayed and different colours added to it.The inside is finished with the natural ash showing. 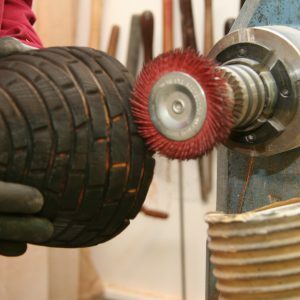 The bowl starts by been cut from a log of ash and then roughed out by Robert on the lathe and let dry until it is at the desired moisture level. 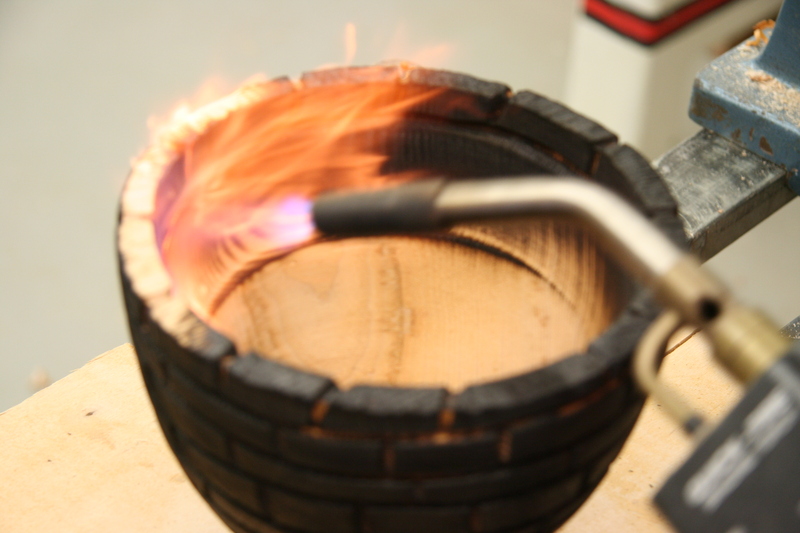 The bowl is remounted on the lathe and the different style is cut into the bowl, it is then burned to give the blackened effect, sprayed and different colours added to it.The inside is finished with the natural ash showing. 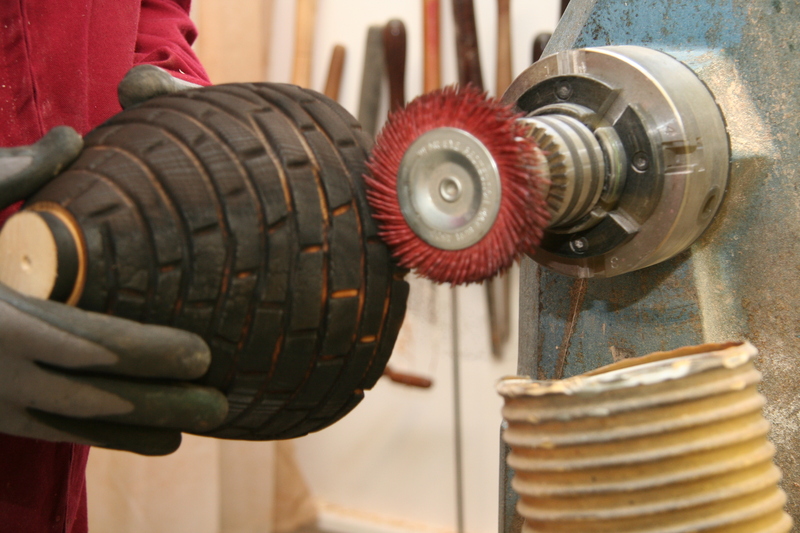 The photographs give an indication of the different steps applied to get to the finished bowl.